I suppose it goes without saying that there is no one way to go about embroidered workwear. Careers come in all shapes and sizes and so do their corporate branding and staff. 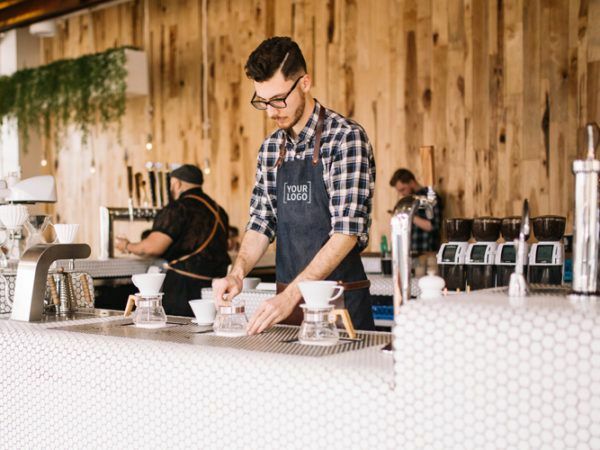 However, despite the huge disparities between workwear and the needs of the staff, embroidered workwear remains a staple among all corporate uniforms. 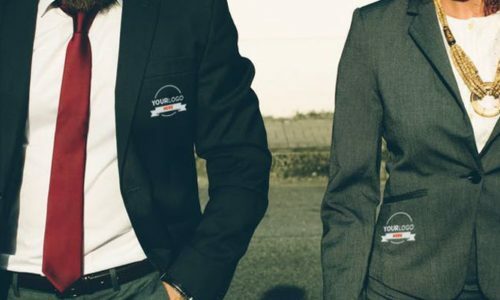 In this article we will explore some of the benefits of embroidered workwear, and look at a few ways in which Garment Printing can help you achieve a professional look with embroidered workwear, no matter what field you specialise in. Embroidery is an excellent technique for personalisation, as it’s ideal for all types of garments, in particular corporate clothing, uniforms and well, any other types of clothing that you can think of. From large organisations to small businesses – embroidery is the perfect way to customise your workwear and ensure that your brand name and logo are represented perfectly. At Garment Printing we would say that one of the main benefits of using embroidery is the low setup costs and the low cost of materials. This means that you can accurately represent your brand without having to spend a fortune to do so. The low cost of embroidery makes it ideal for both start-up companies and large organisations with a large workforce. However, it isn’t just polo shirts we embroider. Say for example, your company involves staff working outside, in harsher conditions, why not think about customising a wide range of different winter work clothing and accessories such as fleeces, beanie hats, caps, coats, trousers – you name it we can embroider onto it. Take a look at our video to find out more about embroidery! Find out more about Embroidery! In the past few years, we here at Garment Printing have become aware of the increasing popularity of personalised workwear and the exact elements which work together to create a high-quality custom uniform. To keep up with the increasing demand for personalised workwear, we have created a catalogue which is full of the best corporate workwear, so that you can select the ones that best suit your brand or project. 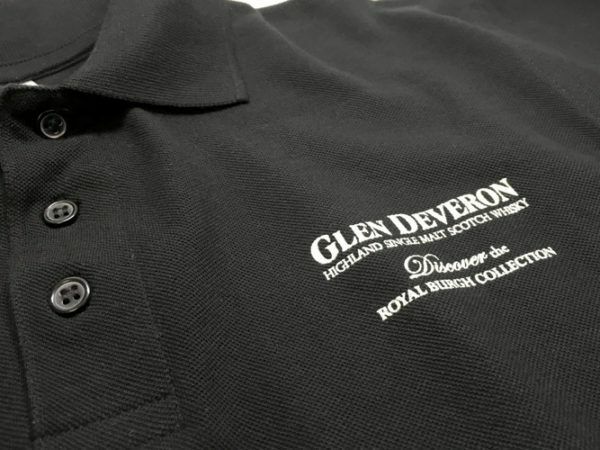 Embroidery is the perfect way to customise your staff’s uniforms and creates excellent brand recognition. One of the great things about embroidery is that it always produces a high-quality finish. It gives off a stylish and sophisticated look, due to its incredible accuracy and durability. So, how exactly do we go about embroidery for personalised workwear? Well, firstly, your design is setup within a special file format called a DST file. We will use this file and the running sheet to tell our machines exactly how it should be embroidered to ensure a perfect finish. After the file has been sent to the machine, the garments are then fixed into place using a special support which clamps the embroidered area of the garment so it is tight and will not move. Finally, thread colours are added to the machine and the design is stitched onto the garment. So, to give you an idea of what kind of embroidered workwear we offer here at Garment Printing, take a look at our customised workwear catalogue and see how Garment Printing can help you achieve a great professional look, no matter what field you specialise in. With the end of summer at hand and shorts and sunglasses disappearing quicker than the leaves off the trees, it’s time to get prepared for the coming seasonal transition. For a more professional look this autumn, embroidered polo shirts are a sure way to go. Embroidered garments are expertly selected so that your business can appear professional and provide added value without sacrificing the corporate aesthetic. Polos exude a professional yet casual image. Exclusively this October, we have an amazing offer on embroidered polo shirts among other printed autumn workwear to help ease the transition into winter. For more information, check out our amazing offer on Autumn printed clothing! When we said we can help you achieve a professional look no matter what field you specialise in – we meant it! Here at Garment Printing we have a great range of custom chef’s jackets and printed aprons, perfect for any budding restaurants trying to make their mark on the restaurant scene or even restaurants undergoing a rebrand. To further ensure that your brand stands out, why not think embroidery? Embroidering a restaurant’s logo onto the front of the garment is a great way to create coherence within the company brand, as well as creating a more professional look for kitchen staff. For more information on printed aprons and personalised chef’s jackets, get in touch with our sales team! Another amazing way to ensure your staff are correctly kitted out this autumn is with personalised jackets, and here at Garment Printing we have a huge range of personalised jackets that are suitable for any kind of corporate sector. Undoubtedly, customising these garments is one of the things that will give more attention to your company, for this reason we encourage you to send us your logo or design so that we can print or embroider it onto the area that you want. Why not get your company logo embroidered onto the top pocket of the jacket, or a small design embroidered onto the sleeves so that your company can be easily identified. No matter what problems may arise, rest assured we have got you covered with personalised jackets. Browse our range of personalised jackets. 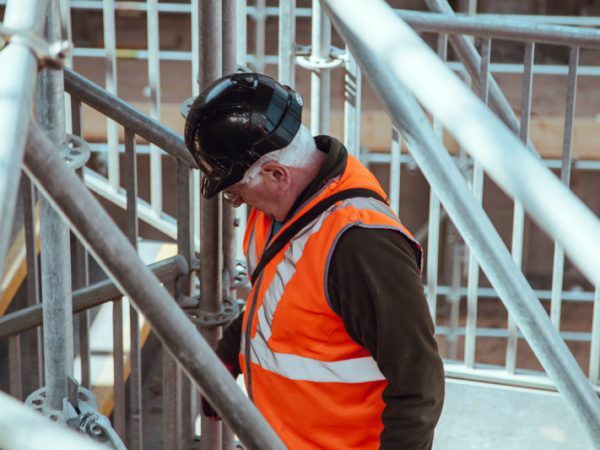 For many companies, personalised workwear is an important aspect of the corporate image due to the fact that it provides an element of security for members of staff, in a way that they are protected when they are working. This is why printed high-visibility garments are such a great asset to any company whose staff find themselves working outside. Aside from the benefits related with security, hi-vis is also a quick means to identify staff, in this way the public can easily direct themselves towards them and as such be aided accordingly. With that in mind, imagine how much easier this process would be if the hi-vis garment also included say, a personalised embroidered logo or design on them. Browse our range of printed hi-vis products! So, there you have it, a few ways in which Garment Printing can help you fully utilise embroidered workwear to achieve a professional look, regardless the corporate sector. Think outside of the box, there are no limits to the type of garments you can print onto. Think office wear, kitchen uniforms, headwear, we have so many products which would be perfect when embroidered with a logo or design. For any more information or if you have any doubts, fill out the following contact form, and a member of our sales team will be in touch within 15 minutes.